If I stuck around just a few months more, I would have been an eMusic subscriber for a decade. Instead, I canceled my membership at the end of December 2015. I also had a low-level Spotify subscription for about the price of a fancy drink at Starbucks every month, but I realized I only even launch the Spotify desktop application to update the Musicwhore.org Favorite Edition Playlists. So I canceled that subscription as well. My streaming service of choice is now Google Play Music. The music locker pretty much sewed it up for me. When Google Music launched, it offered space for 20,000 songs for free. Amazon had a similar offering with an up-sell to more space, but the size of my music library pretty much steered me in Google’s direction. It took a number of years to fill that limit, which I did some time in 2013. By then, Google Music became Google Play Music and transformed itself into a streaming service. I signed up for a trial offer and liked the convenience of my uploaded library supplemented with the streaming offerings. I became a paying member and eventually shut out everything else. eMusic had become an online version of Columbia House, where I had to download something every month to make the subscription worthwhile. I’ve accumulated a lot of digital flotsam and jetsam as a result. In a way, eMusic downloads became my replacement for pre-recorded cassettes, a convenient, sub-prime format to listen to an album. If I liked it enough, I’d buy a copy in a format with higher fidelity. This idea of a “paid preview” allowed me to support artists on a graduated level — the more I liked the music, the more I would invest. When I signed up for eMusic in 2006, Spotify had only just launched in Europe, but I knew when it reached the US, my days as an eMusic member would be numbered. I’m actually surprised I hadn’t canceled years ago. As it turned out, I hated the Spotify desktop application. Years of using Winamp and tolerating iTunes conditioned me to resist some of Spotify’s user experience choices. I can’t name them now because I was so thoroughly turned off that I went back to using eMusic and eventually adopted Google Music. But I kept the $5 subscription for fear of missing out on artist exclusives. It took some time before I realized I actually didn’t care for exclusivity in streaming services either. I’m not about to sign up for Tidal just to listen to Prince. Google Play Music has so far ticked off all the boxes I require in an online music service. The locker stores the albums I own that the streaming service doesn’t provide, which is a lot given my tastes. The streaming service allows me to preview albums I may eventually buy, while throwing a few minuscule cents of royalties in the direction of the artist. I have the convenience of listening to NUMBER GIRL at work or at home, then switch over to a Cathy Dennis album I stream until I’ve made up my mind to buy it. The only other comparable service would be Amazon Prime and its cloud storage, but the Music Manager desktop applications provided by Google Play Music have pretty much locked me into its platform. I do appreciate AutoRip on those rare occassions the two-day shipping isn’t fast enough. I won’t consider Apple Music because that means I have to use iTunes. The only time I use iTunes is to manage my iPod. I hate iTunes on Windows more than I hate the Spotify desktop application. So it’s Google Play Music for me. Back in 2015, Nonesuch Records announced a huge reissue campaign for Henryk Górecki to tie in with the premiere release of his posthumous Symphony No. 4. The reissues included a seven-disc box set of Nonesuch’s Górecki catalog and the vinyl release of his popular Symphony No. 3 featuring Dawn Upshaw. At first, these releases were set for September 2015, but they got pushed back to January 2016. I fell for Górecki’s Symphony No. 3 like the millions of others who bolstered the album to the top of the classical charts. In the UK, it became a top 10 hit on the pop chart. The Third Symphony was such a moving work that I was hesitant to explore his other pieces. Kronos Quartet introduced me to Górecki with its recordings of his string quartets, so I already knew the Third Symphony was a stylistic anomaly. The intensity of Górecki’s work makes them intimidating to approach. When his compositions get quiet, they practically disappear. Then out of nowhere, a cluster of notes fly off the score. The first movement of the Symphony No. 4 demonstrates this trait well. After three minutes of pounding a single idea, the orchestra gets quiet, almost silent. It’s a brief reprieve because the pounding continues just seconds later. Fiddling with the volume knob is useless. As such, Górecki became one of those composers about whom I would genuinely be curious but not enough of a fan to get every recording. The reissue campaign set me on course to change that. Of the six albums previously released by Nonesuch, I owned half of them: the Third Symphony, and all three string quartets recorded by Kronos. 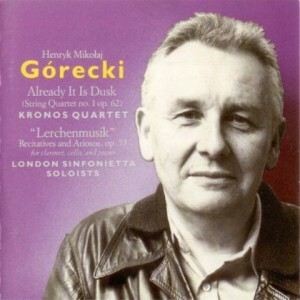 The two albums I never owned were available on streaming services, but the one that wasn’t has the distinction of being the first Górecki album I ever bought: Lerchenmusik. Lerchenmusik was paired with Kronos’ recording of his first string quartet. When Kronos reissued the first quartet to go along with a new recording his second quartet, I didn’t feel enough of an attachment to Lerchenmusik to hold onto it. So I tracked a used copy of the album down to remind myself why. The first movement of the piece hugs the noise floor so tightly, you might think the CD was defective. It’s a lengthy work that doesn’t have the staying power of Three Pieces in the Old Style or the Harpsichord Concerto. Reviews of the Fourth Symphony compared the work to the symphonies preceding the Third. Symphony No. 2 was easy to find, thanks to Naxos’ pervasive presence online and in retail. Symphony No. 1 was more of a challenge. Koch Schwann released a recording of the First Symphony on the tail Symphony No. 3’s success, but after a series of acquisitions, the label’s catalog remains untapped. Symphony No. 1 is steeped in modernism, and it establishes the harmonic language that would be the basis of his subsequent symphonies. But the work has few of his trademarks: the dynamic extremes, the folk melodies. Symphony No. 2 actually hints at what would come in Symphony No. 3, but it employs a more extreme version of the harmonies explored by its predecessor. It starts off brutally but ends beautifully. As tuneful as the Third may be, the symphonies surrounding it are actually a lot more interesting. They show off how skillfully Górecki could balance the past with the future. It’s Górecki’s more tonal works, however, that listeners will flock to. When he eases up on the intensity, he can spin a melody. Three Pieces in the Old Style probably rivals the Third Symphony in terms of available recordings. 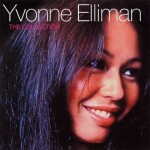 Yvonne Elliman was one of those artists whose music I heard all over the radio as a child, but I never knew her name. That changed in high school when I went through my Andrew Lloyd Webber phase. I learned the Hawaii-born singer who originated the role of Mary Magdalene in Jesus Christ Superstar also formed some of my earliest musical memories. Elliman, however, had embodied the disco era, and nothing was more uncool in 1988 than listening to disco. I checked out Night Flight from the library but couldn’t get past the first song. When the recorded music industry transitioned to compact disc in the early ’90s, Elliman wouldn’t get the compilation treatment till 1995. The ABBA renaissance made disco acceptable again, but an actual reissue campaign for Elliman’s albums never became a reality. It’s a good thing I have a record player, then, because used vinyl copies of her albums are the only way to explore her career with any depth. If one album ought to get a proper reissue treatment, it would be Love Me. The album starts off with the three singles that were ubiquitous in my childhood — the title track, “Hello Stranger” and “I Can’t Get You Out of My Mind”. 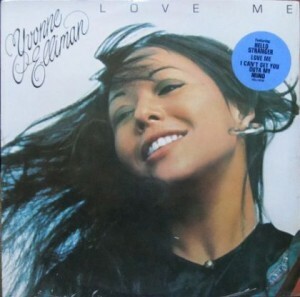 Elliman hadn’t completely thrown her hat into the disco ring at this point, so a lot of the tracks on Love Me sound more like California pop than New York dance floor. “(I Don’t Know Why) I Keep Hangin’ On” has some of the signature marks of disco but nothing on the level of “If I Can’t Have You”. If anything, the dreamy strings of “She’ll Be the Home” and “(Without You) There Ain’t No Love at All” make the album harder to date. While Love Me was never reissued as an album onto itself, a compilation released in the UK cleverly titled The Collection includes all 10 tracks of Love Me thrown in with seven other tracks from other albums. So it’s entirely possible to enjoy Love Me without the aid of a record player if you’re willing to track down the compilation in a music store. It’s not currently available on any streaming service. As it often happens when compiling the year-end favorite list, a few discoveries don’t reveal themselves till after deadline. At this point, none of these albums pose a threat to anything on the 2015 list, but that may change. I thought Chicago singer-songwriter Dylan Rice had fallen off a corner of the earth. He released his second solo album in 2010, then seemingly disappeared. 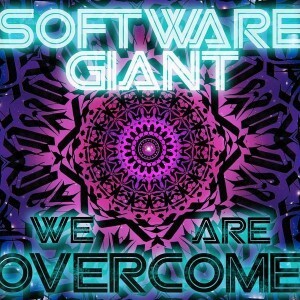 As it turned out, he joined a band in 2013, which then went on to unleash its debut album We Are Overcome in 2015. Billing itself as “Less Claypool sitting in with Kraftwerk”, Software Giant reminds me more of the grunge jazz of Wayne Horvitz’s early ’90s outfit Pigpen. The music is a bit too human for its mechanistic aspirations — Morrissey singing with New Order is another description — but we can forgive the band for having a live drummer instead of a machine. Rice has the kind of gorgeous croon that makes me wish he were more prolific. PBR&B is a pretty awful term, but it’s succinct in describing the kind of R&B music that appeal to rockist snobs such as myself. Various recommendations led me to the Weeknd. Beauty Behind the Madness has slowly seeped into my consciousness. I find myself humming portions of the album during those rare moments when no music is playing on my devices. The collaborative approach to this split album works incredibly well. Rather than devote one side to each band, Gaytheist and Rabbits exchange songs and band members throughout. It ends up sounding like the work of one unit, a true case of the sum being greater than the parts. Ask yourself what an orchestra would sound like performing Naked City’s Torture Garden.